English: Humblot's flycatcher; French: Gobemouche des Comores; German: Humblotschnäpper; Spanish: Papamoscas de Humblot. The body length is 5.5 in (14 cm). The sexes are colored similarly, with a brown back, wings, and tail, a white breast heavily streaked with brown, and a lighter streaked throat. A rare, endemic, nonmigratory species that occurs only in the Comoro Islands, in the Indian Ocean just north of Madagascar. Only occurs in natural tropical forest on the slopes of Mount Karthala, a periodically erupting volcano on Grand Comoro Island. Occurs within an altitudinal range of 2,600-6,600 ft (800-2,000 m). A nonmigratory species. 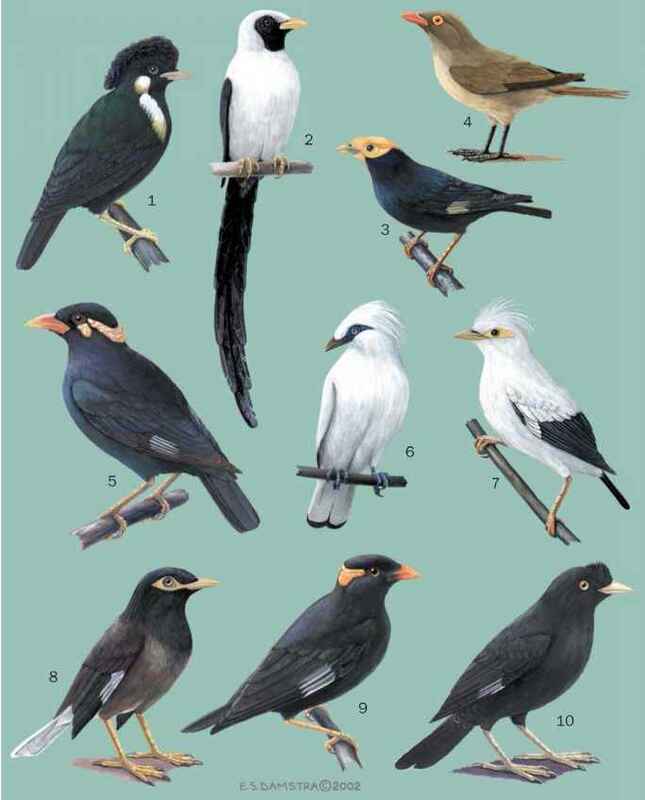 Pairs of breeding birds defend a territory. The song is a sharp trill. Searches from a perch for flying insects in low parts of the forest canopy.